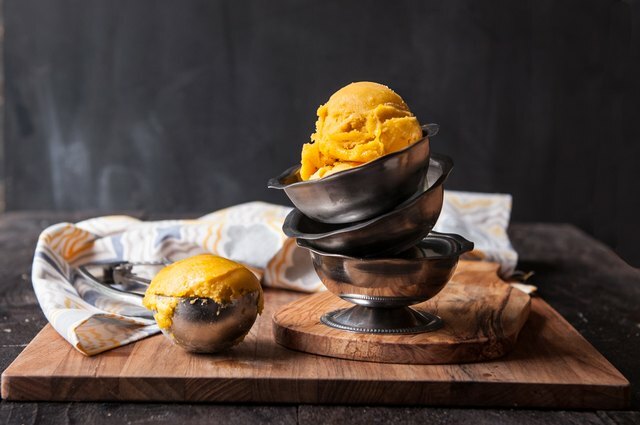 It's hard to argue with someone holding a big bowl of homemade mango ice cream. 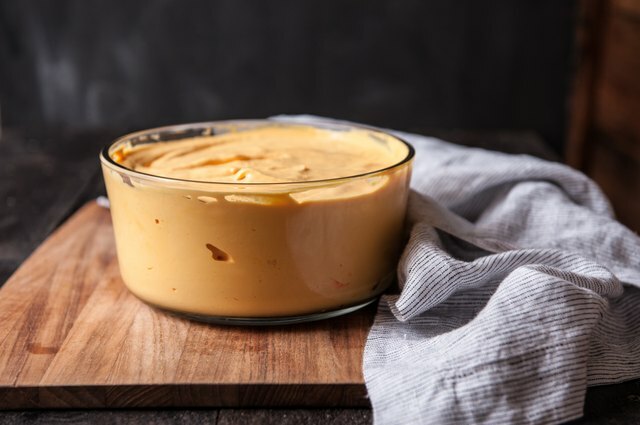 It's also hard to turn down a recipe this simple. 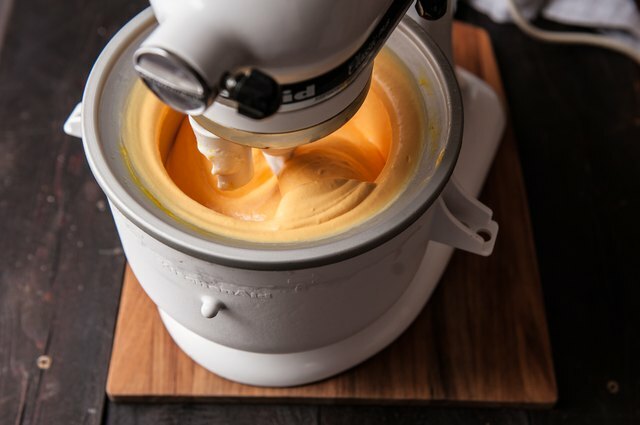 For this recipe we're modifying the typical ice cream base that includes eggs and heated cream in favor of a simple base of cream, sugar, and mango that comes together in just minutes. 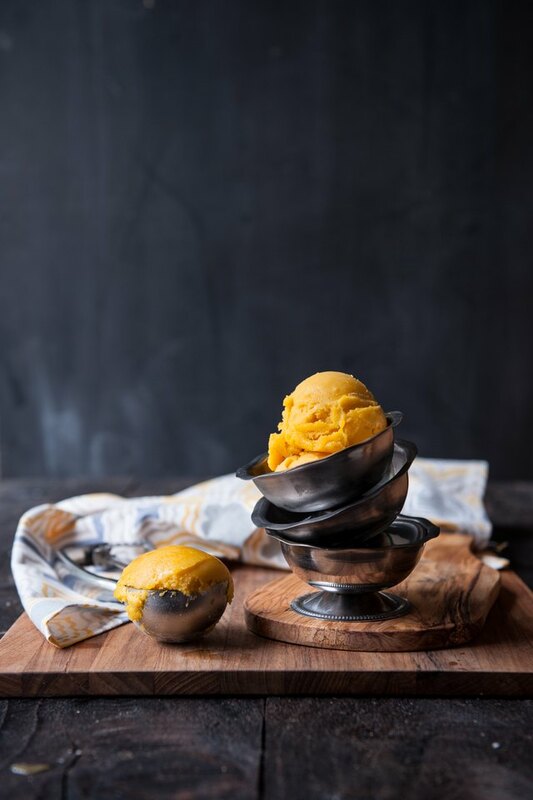 Now you can use this super simple ice cream recipe to solve minor disagreements, since you will be the one holding the bowl of mango ice cream, thus impervious to disagreement. 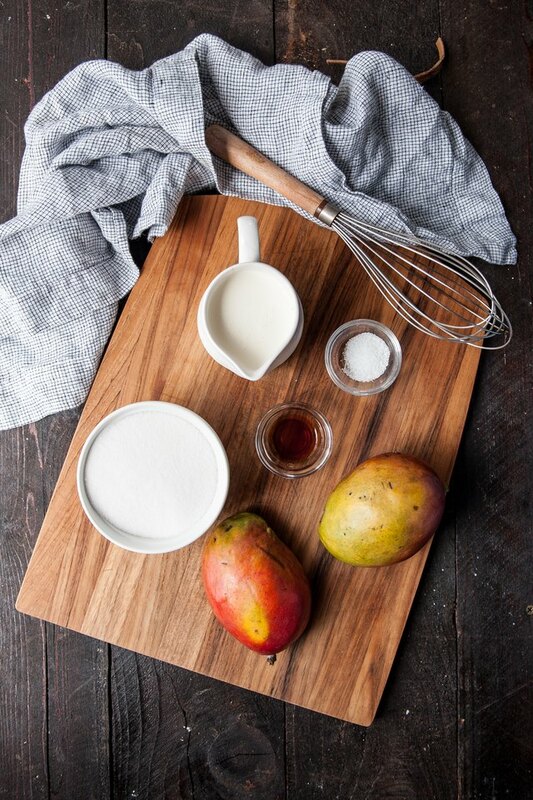 Because different varieties grow at different times, mangoes are always in season! The varieties will vary with the time of year but you will always be able to find one at local markets. But if you can't find any, feel free to use diced, frozen mango. Just make sure to thaw before using. Add the heavy cream, vanilla and salt to large bowl. Beat with a hand mixer until soft peaks form, about 4 minutes. Peel and dice the mango, removing the large pit in the center. 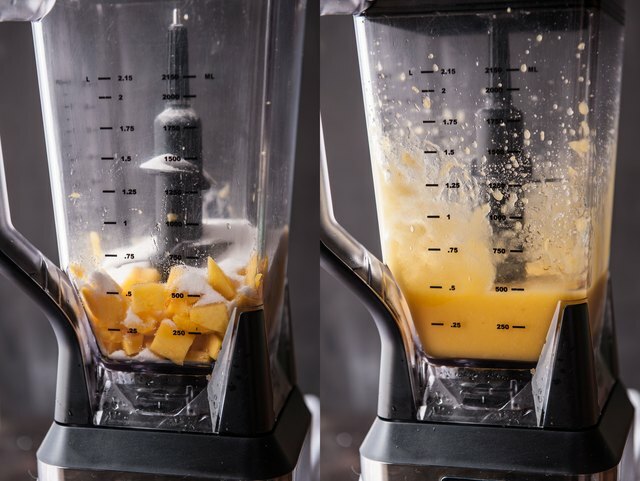 Add the diced mango and sugar to a blender, blend until smooth. 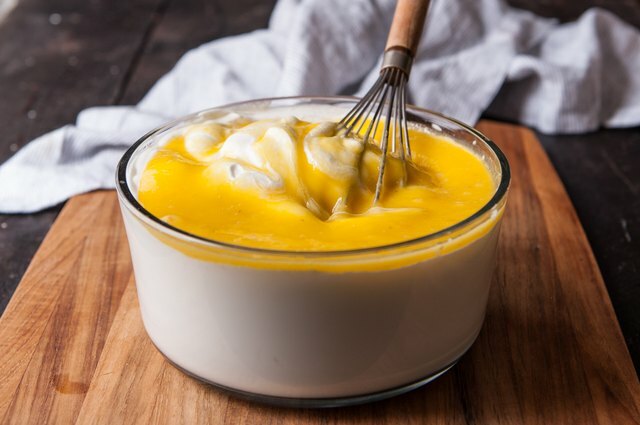 Pour the mango puree into the whipped cream, and stir until well combined. 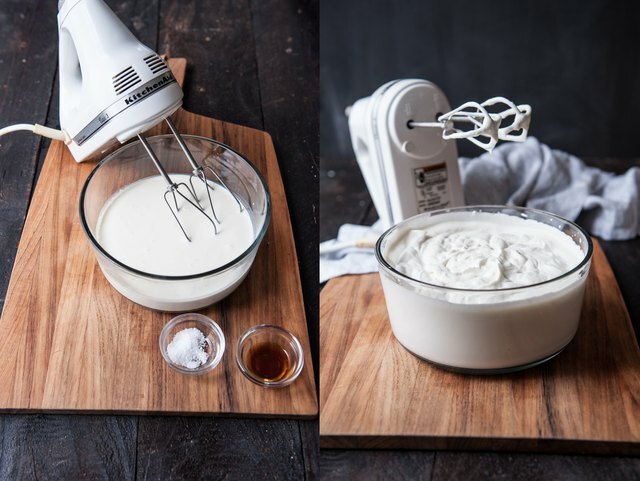 Add the mixture to your ice cream maker, and churn according to the manufacturer's specifications. This can take up to 15 minutes. Add to a freezer-safe storage container. Freeze until the ice cream is set.